Andrew Walker of Epoq discusses how legal services benefits can help employers build stronger employee engagement and loyalty. The range and type of employee benefits available have grown over the last twenty years and now include much more than just a company pension or car. From health and life insurance, to discounted gym membership and free fruit in the workplace, many employers have introduced an array of benefits to help both attract and retain employees. And it certainly seems to have had an impact on employee expectations. In a survey conducted by Grass Roots1, 84% of employees said benefits are important in keeping them in their current job and nearly 50% said they were likely to turn down a job because the benefits package wasn’t as good as they wanted. So clearly, the provision of benefits does play an important role in keeping employees loyal. However, the current lack of innovation in the employee benefit sector means that the needs and expectations of diverse and often demanding workforces are not being fully met. This results in poor employee engagement and general dissatisfaction with benefit programmes. Employers need to think more creatively about how to deliver benefits that are more in tune with the daily lives of their employees. 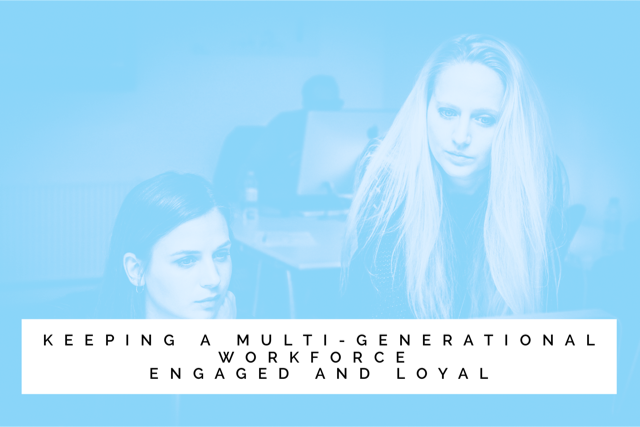 Perhaps the most significant challenge is how to engage a multi-generational workforce, where the age of employees can range from early twenties to mid-sixties and whose benefit needs will vary quite significantly. A childless twenty-something employee, for example, is unlikely to be interested in life insurance, whereas someone with young children will be. Furthermore, an ageing population means that many older employees will have elderly parents to look out for and will value benefits that assist them in this area. Providing products and services that respond to changes in an employee’s life – marriage, children, buying a house, divorce, the death of a parent – enable employers to tailor benefits to make them more relevant and timely for the individual employee. This approach will demonstrate a concern for the welfare of both the individual and their family and will help to increase employee engagement and loyalty. In terms of the kinds of benefits that can be included in a tailored, multi-generational programme, life and protection insurance and flexible working are obvious options, but so too are financial and legal advice and services. In fact, a recent study by Capita2, indicated that 60% of employees felt their employer should provide them with access to financial education to help with retirement planning. At the same time, a report by the Legal Services Board3 showed that 22m people in the UK have experienced a legal need in the last 3 years. Financial and legal needs are often closely aligned, one frequently triggering the need for the other. For example, financial advice around pensions, estate planning and inheritance tax, can generate the requirement for a legal document, such as a will, power of attorney or trust, as will a discussion about life and protection insurance. But there are also many other less complex, more day-to-day legal issues that can, nevertheless, result in stress for employees of all ages if not properly dealt with. A noisy neighbour who ignores polite verbal request to quieten down; a builder who has left a job half done; an undeserved parking ticket or holiday that has been ruined by substandard accommodation, all can leave an employee feeling angry and powerless. By providing employees with an easy-to-use online tool which empowers them to deal with these matters as they arise, employers can help to not only alleviate stress, but also reduce absences from work – using a traditional law firm will mean time away from work, as well as be costly for the employee. And, as the Internet becomes more and more widely used by people of all ages to research and buy products, an online legal service will meet the expectation for quick and easy 24-hour access. Relevance, flexibility and ease of access have become the cornerstones of a tailored approach to employee benefits and one that can address the needs of a multi-generational workforce. A legal services benefit, especially when delivered online, will enable employees to deal easily with many of the legal issues they face at various points in their lives, from the merely annoying like a parking ticket, through to the essentials like making a will or power of attorney to protect the future interests of one’s family. For the employer, offering legal services as a benefit provides the opportunity to engage with employees on a more individualised basis and to demonstrate a more holistic approach to their well-being needs. And, as online legal services can be delivered at a fraction of the cost of using a traditional law firm, the monetary value of the benefit can be clearly articulated to the employee. In combination, these features can help employers to modernise their benefits strategy and help them to retain and attract more engaged and high-performing employees of all ages.